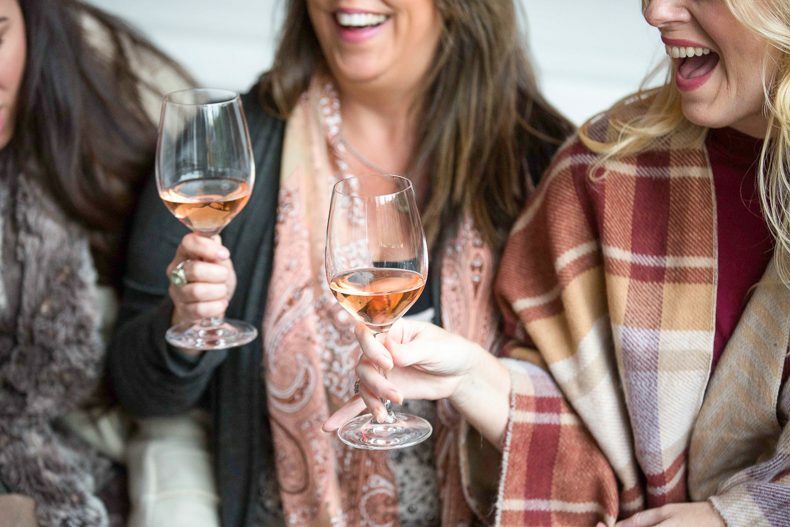 Blogging has brought so many interesting opportunities my way over the years that have challenged me both personally and professionally. 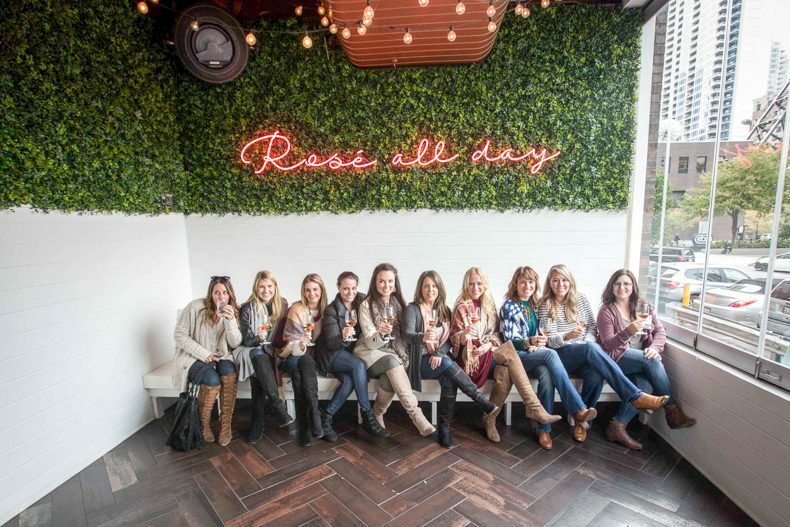 Last week turned into an unexpected “blogging opportunity” highlight for me! 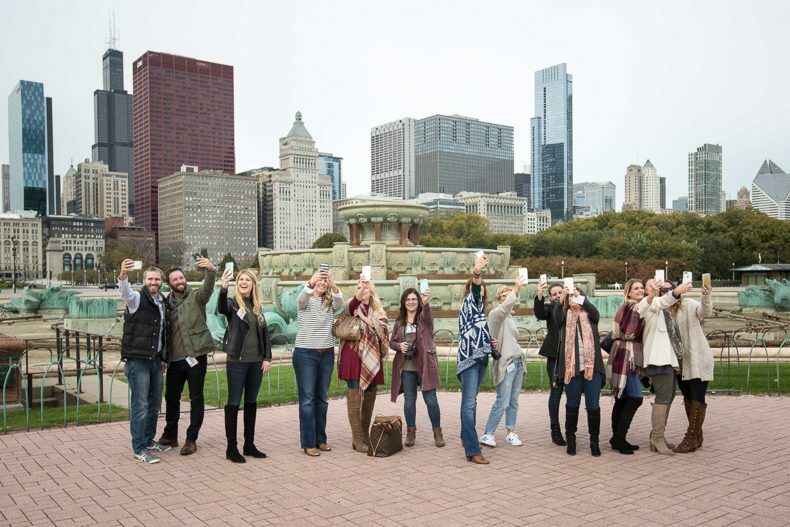 I was invited to Chicago to join Delta Faucet for A Day of Inspired Design. 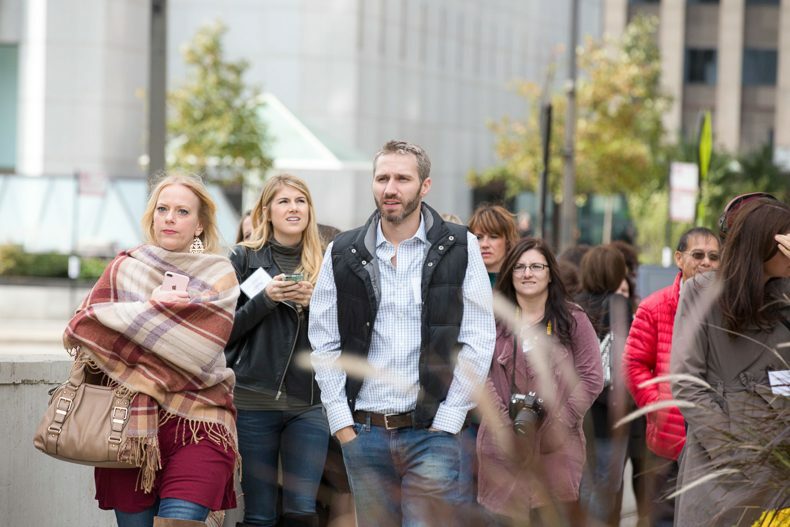 We were told our time together would have a “See, Do” theme and would include a tour of the Delta flagship showroom, Dream20, followed by a guided tour through the city by trolley. 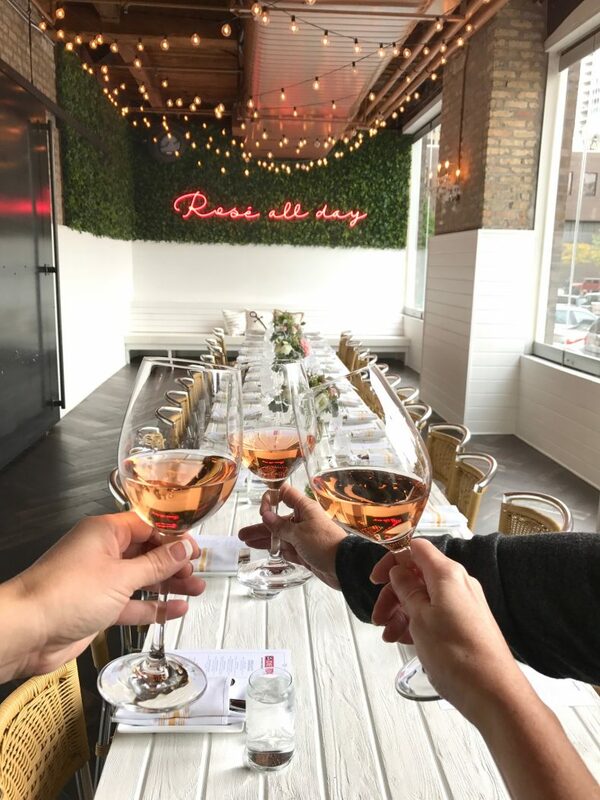 Upon completion of the tour, we would create an inspiration board for our dream kitchen or bathroom – tapping into the inspiration provided by Delta, Young House Love, and the city of Chicago! 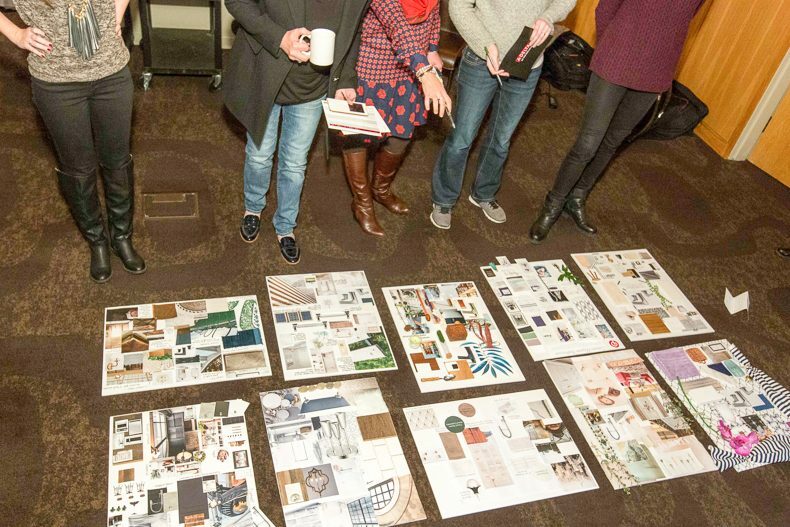 A team from Delta would judge our design boards, and one lucky blogger would be awarded a makeover to implement their dream kitchen or bath. 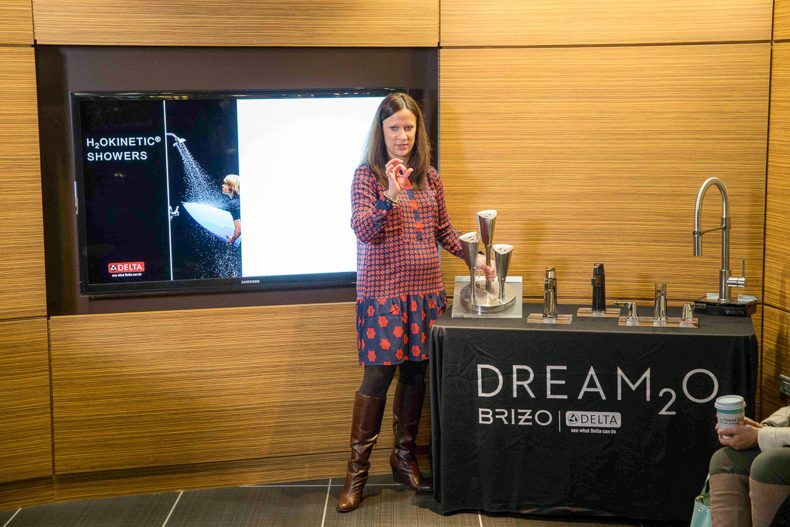 We began our tour at Dream20, the flagship showroom of the Delta Faucet Company. To say it was gorgeous would be an understatement! 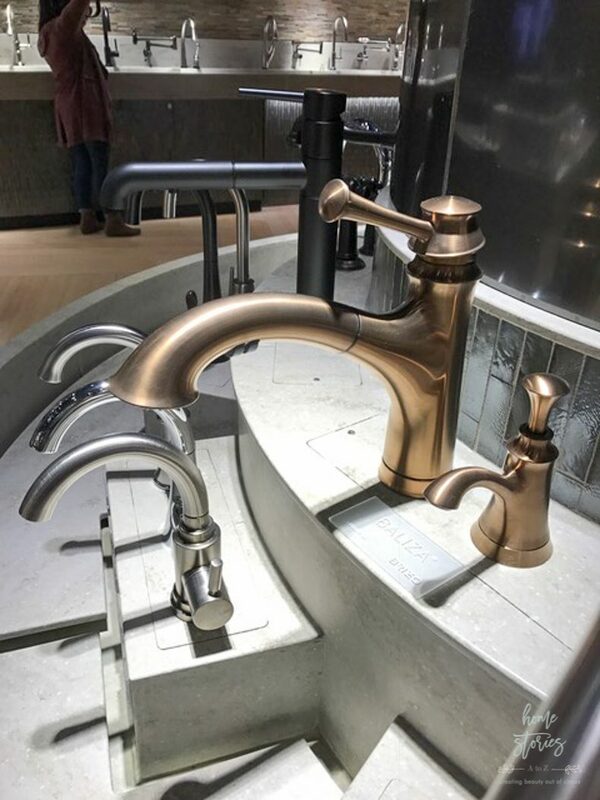 All of the faucets in the showroom are fully functional and we had fun playing with them. 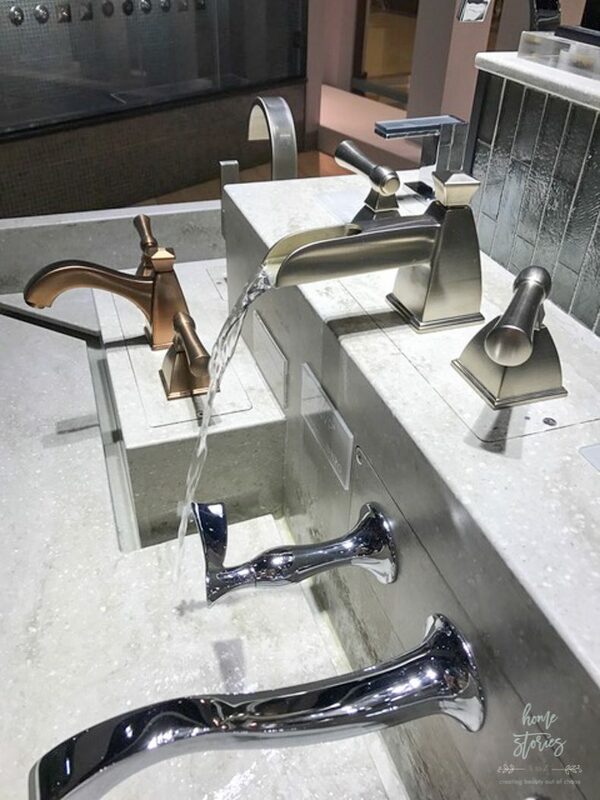 There were so many innovative faucet functions and styles to admire in a variety of gorgeous finishes. The Champagne Bronze finish was a blogger favorite! Missi, a representative from Delta, shared that Delta exists to transform people’s daily lives with water. 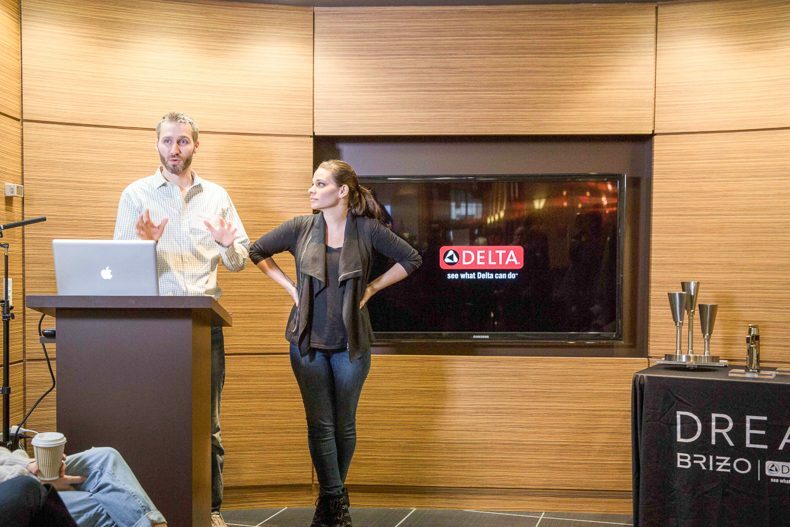 There are two sides to every Delta product: SEE and DO. SEE is the beautiful design on the outside. When someone looks at a Delta product they see the graceful curves, shiny metal, seamless edges and know something so stylish is meant to show. DO is the hard-working technology on the inside. When someone uses a Delta product, they experience what it can do! 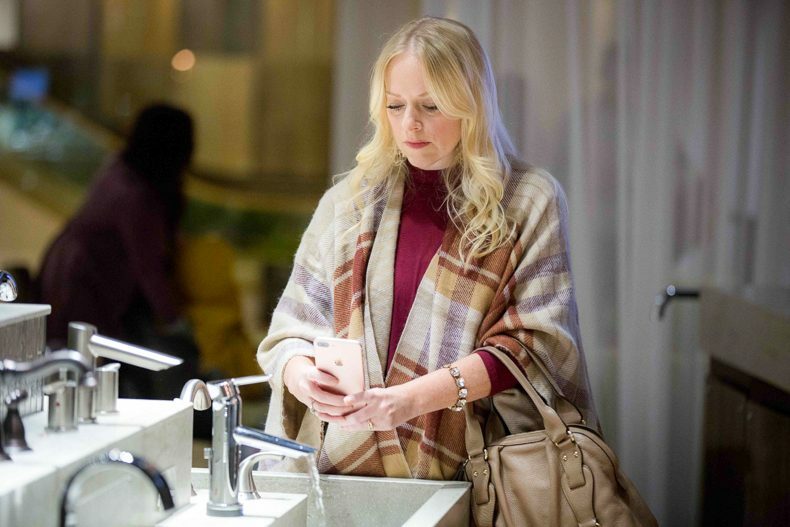 The drench of H2Okinetic, the precision of Touch2O, the convenience of Touch20XT are all functions we want in our homes. SEE and DO work together in perfect harmony to show the world what Delta can do. One of the unique new products that caught my eye was the Zura Pendant Raincan Shower Head with H2Okinetic® Technology. 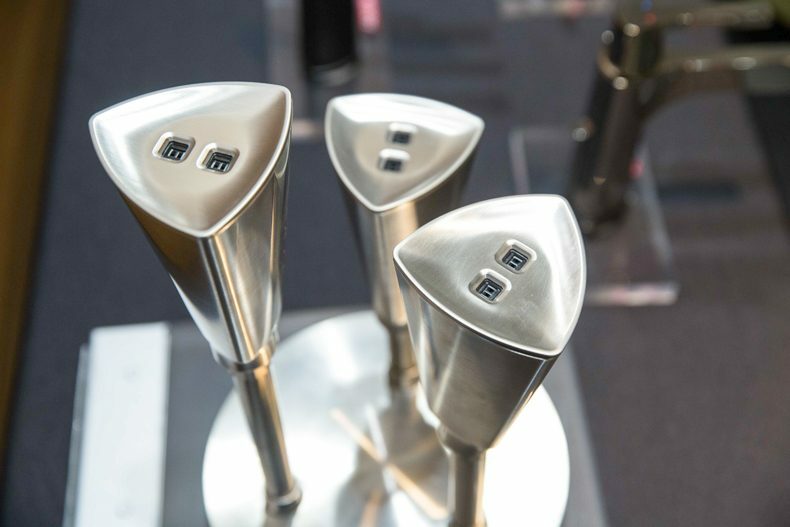 This technology directs the water out of each pendant as an oscillating stream to create a fan of water with larger droplets. You essentially get the feeling of more water without using more water. Fascinating! Next, John & Sherry from Young House Love gave a fantastic presentation on how good design fulfills the purpose of beauty, function, mood, and meaning. 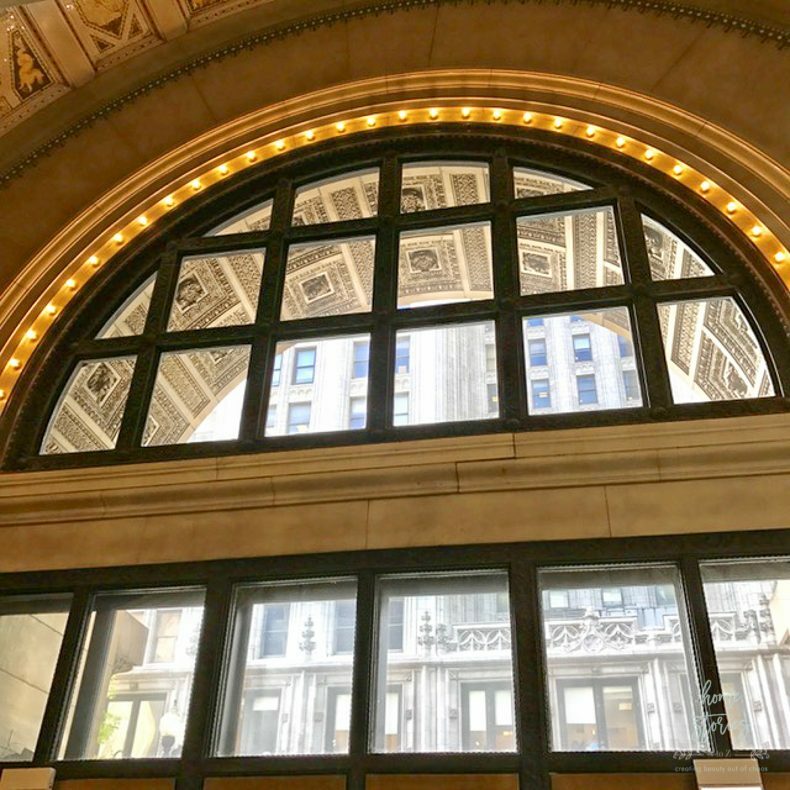 They explained that while we were on our tour of Chicago we would be taking pictures of architecture that inspires our kitchen or bath design boards. 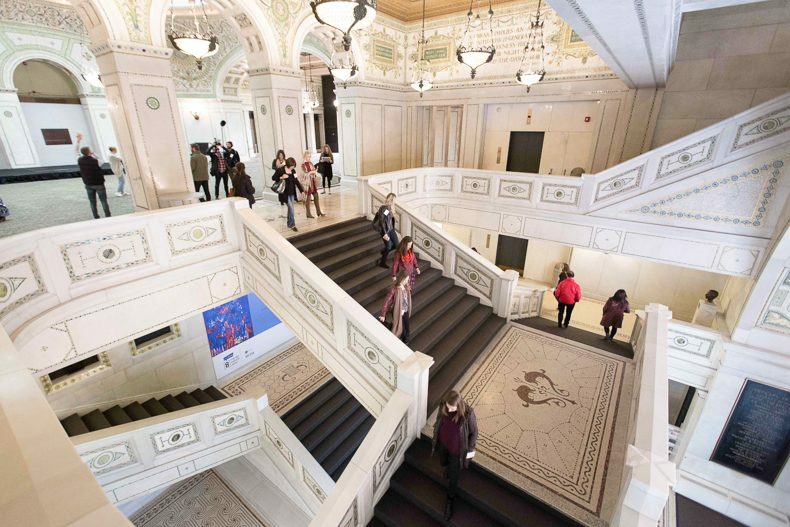 We were encouraged to look for these four elements in Chicago’s beautiful architecture. 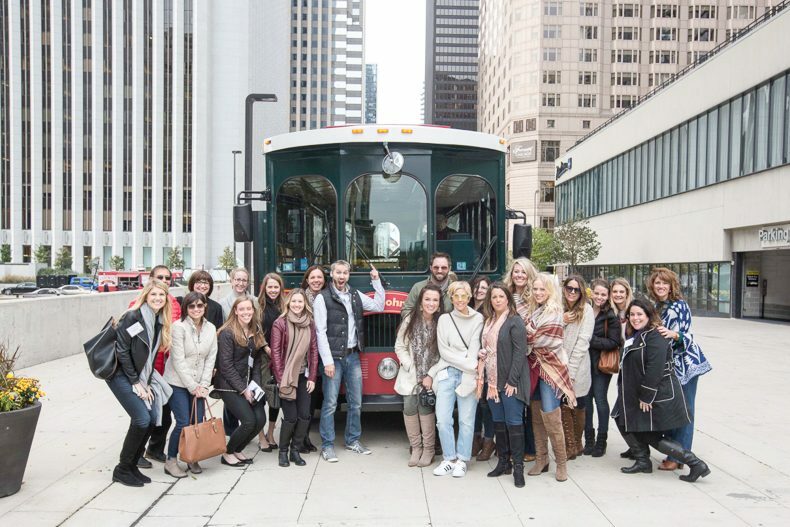 And then it was time to pile into the trolley and begin our guided city tour! 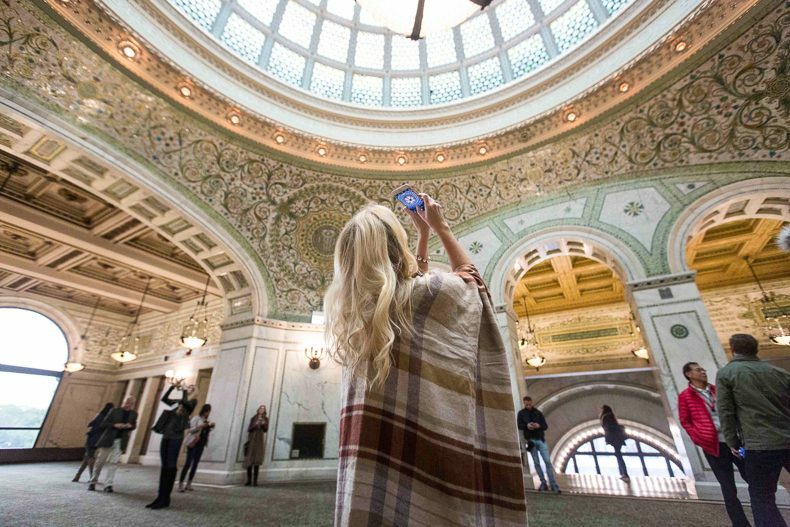 Our first stop was the breathtaking Chicago Cultural Center. 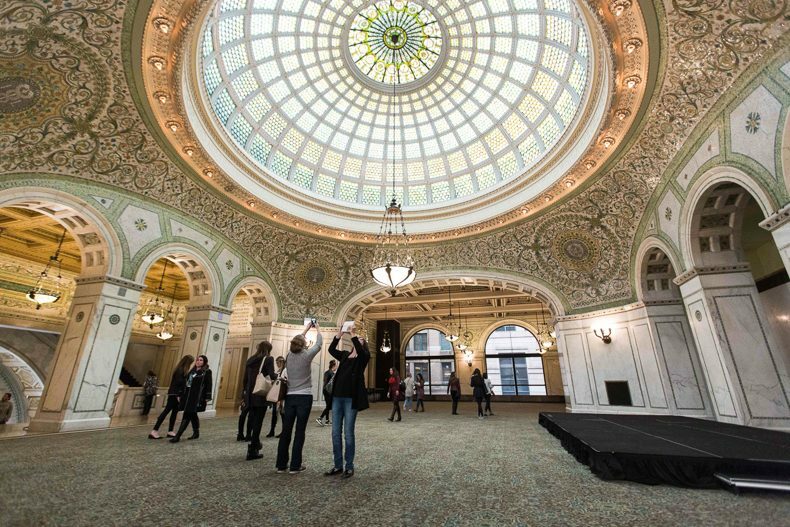 The neoclassical architecture is simply stunning with all of its tile, marble, and stained glass domes! 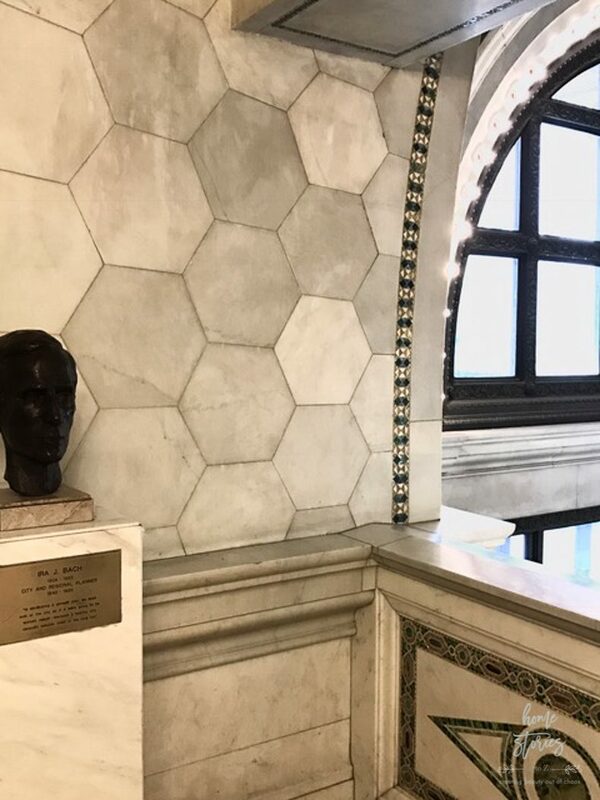 I was inspired by these huge marble hexagon tiles! Wouldn’t those be amazing on a bathroom floor? 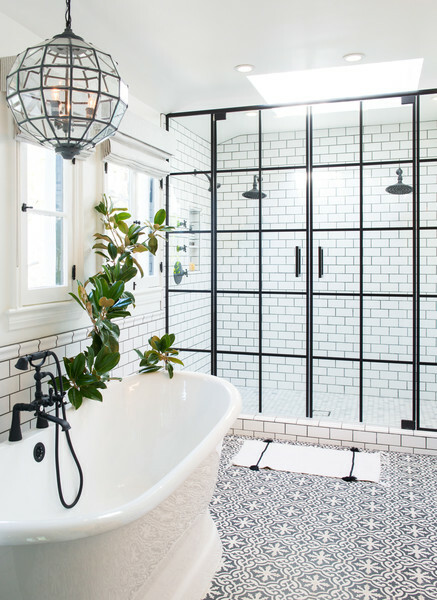 All of the beautiful grid windows reminded me of the factory-window shower doors that are so popular right now. 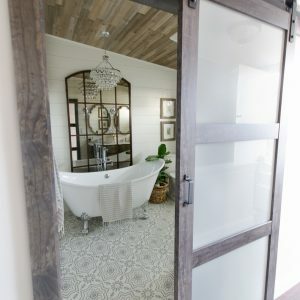 I had included this dreamy bathroom picture in my bathroom design board and felt that these beautiful windows fit beautifully into my inspiration board. 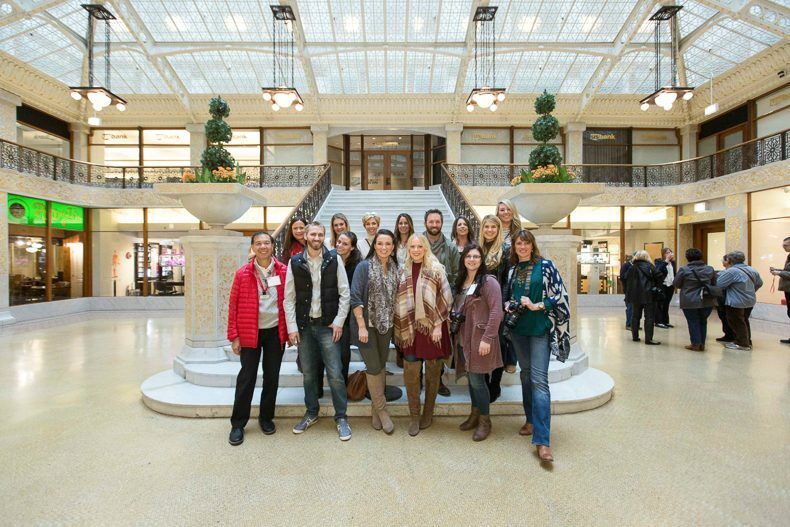 The next stop on our tour was the Rookery Building. 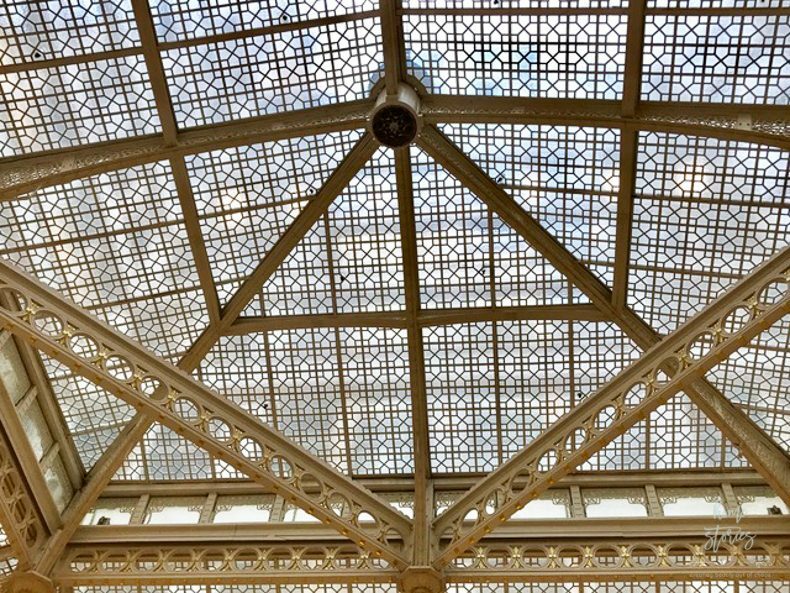 The light court of the building with its steel beams and amazing glass had us all captivated! I’ve never seen steel beams look more elegant, have you? 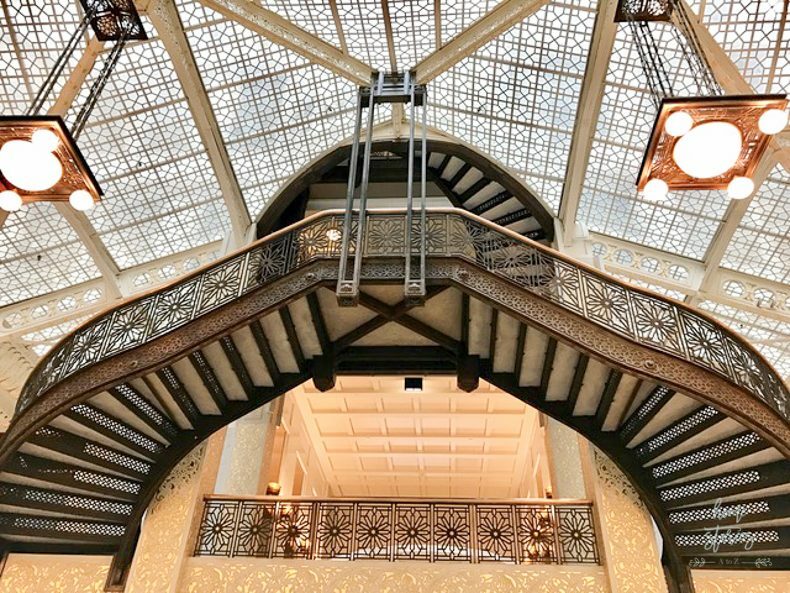 The gold geometric patterns on the white marble and the ornate ironwork was a feast for the eyes. 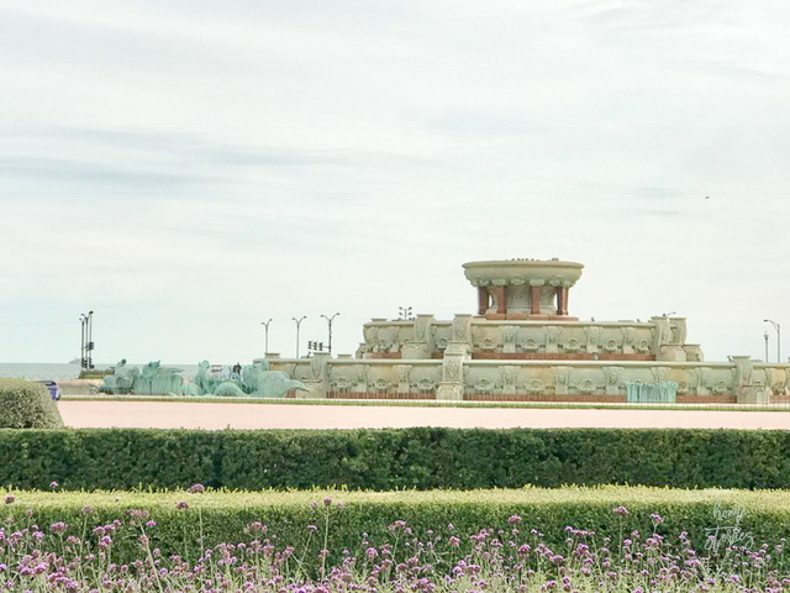 Our third stop was Buckingham Fountain which unfortunately had already been drained for the winter and wasn’t active. I would love to see it in action in the summer! 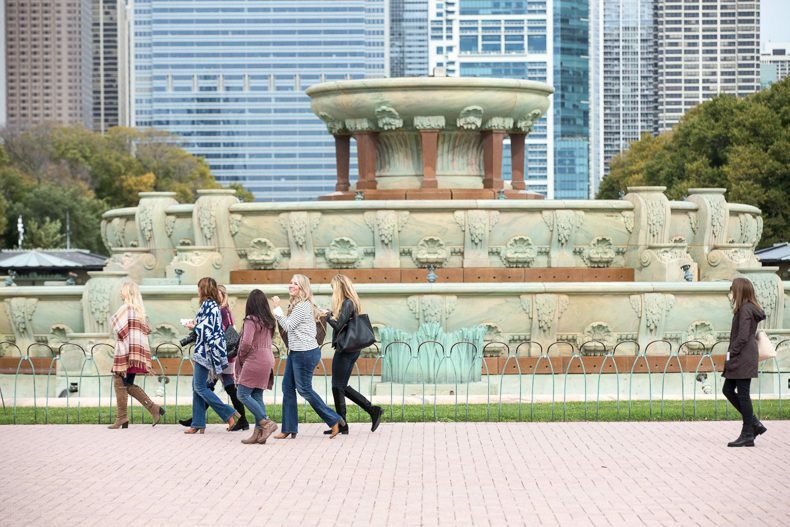 Buckingham Fountain is one of the largest fountains in the world and is meant to allegorically represent Lake Michigan. 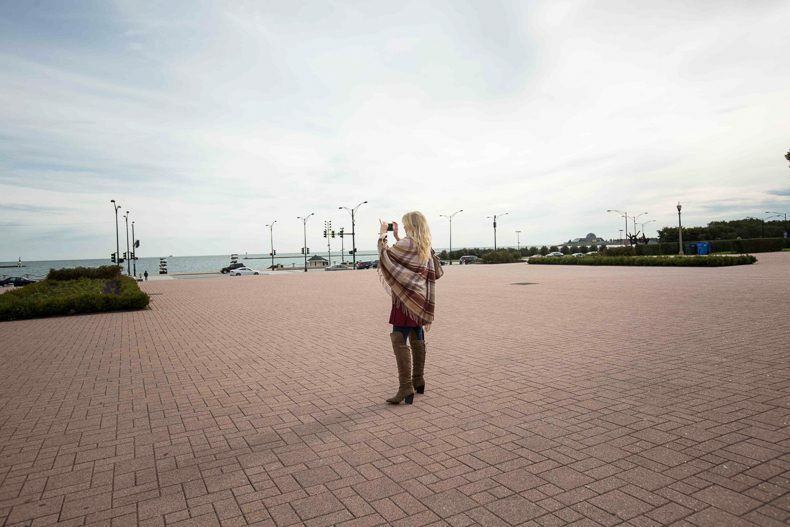 We had fun taking pictures of the skyline and playing around a bit before heading to our next destination. 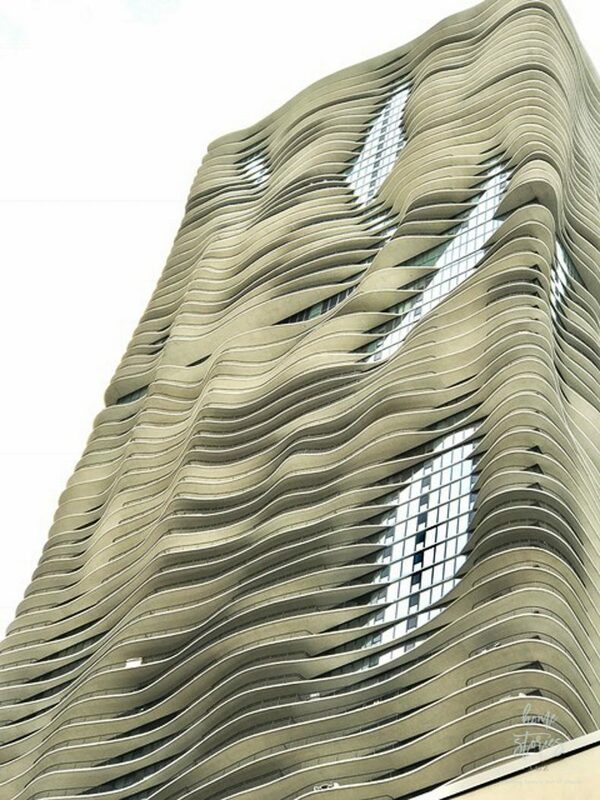 The Aqua Tower is a mixed-use residential tower that looks like water! A building that actually resembles water is an architectural design feat worth noting. Touring gorgeous architecture all day makes one hungry! 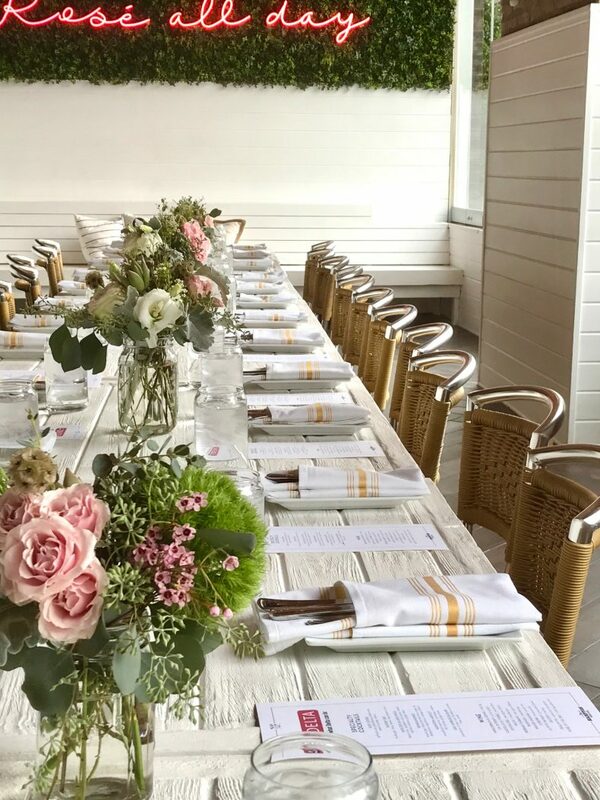 We lunched at the chic Hampton Social restaurant where we were treated to delicious food and energizing conversation. After lunch, it was time to harness all of that creative energy and begin working on our design boards. 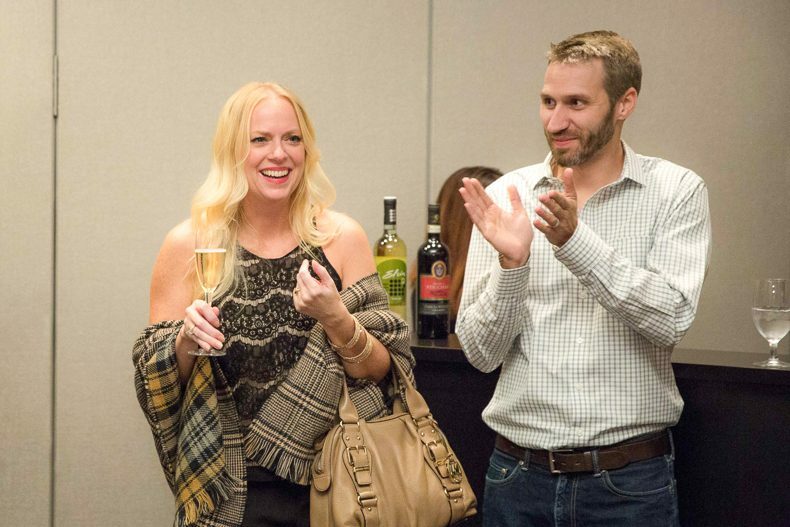 The atmosphere was relaxed and conversational, and I had fun chatting with other bloggers as I moved items around on my board. I incorporated a lot of textural items on my board in shades of white and gray. My goal was to convey my “Quest for Quietude” with a master bath that felt modern yet cozy and urban yet soothing. I honestly was just having fun dreaming up a beautiful space that I’d love to implement! We were all so busy creating our own boards that we didn’t have a chance to see everyone else’s until after the competition. I caught a glimpse of a few while I was working and was absolutely smitten with several of the boards! Here is a picture below of my Quest for Quietude inspiration board. 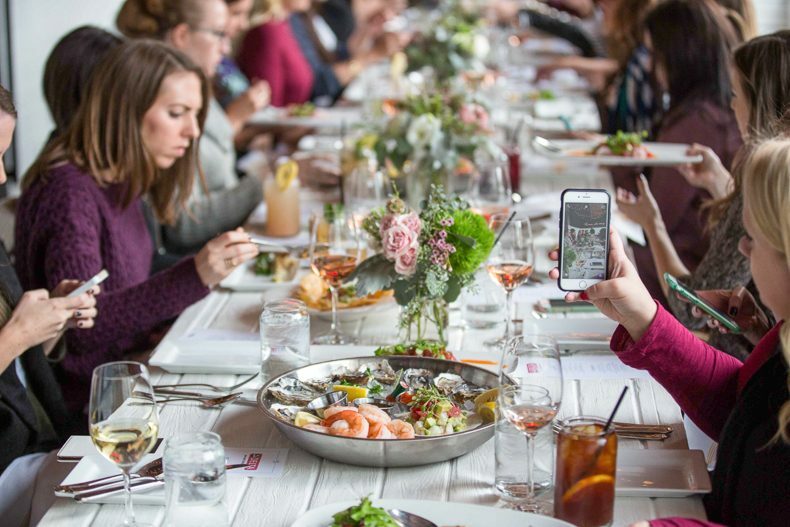 The judges deliberated over all of the boards and announced the winner at dinner. And NO ONE was more shocked than I to learn that my design board had been chosen as the winner! I was utterly speechless and incredibly honored. 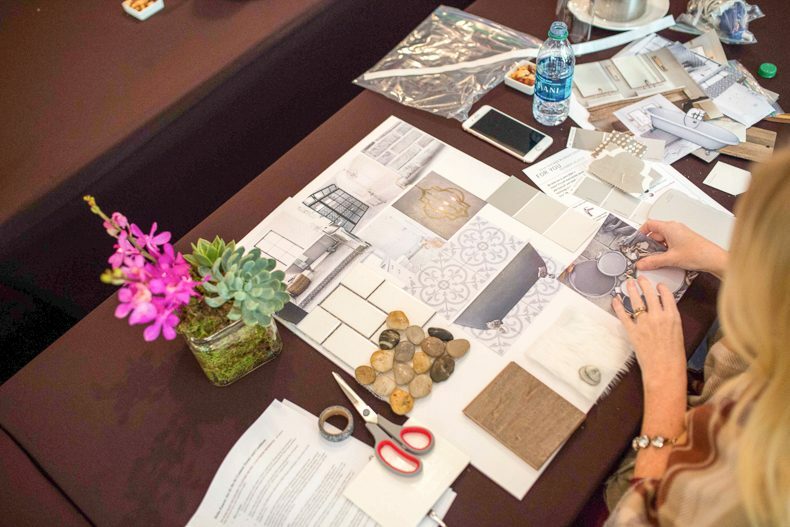 I will soon be implementing my design plan in our master bath, and of course I’ll be sharing every step along the way with all of you–so stay tuned! Thanks to Delta for inviting me to participate in such a fun design challenge. 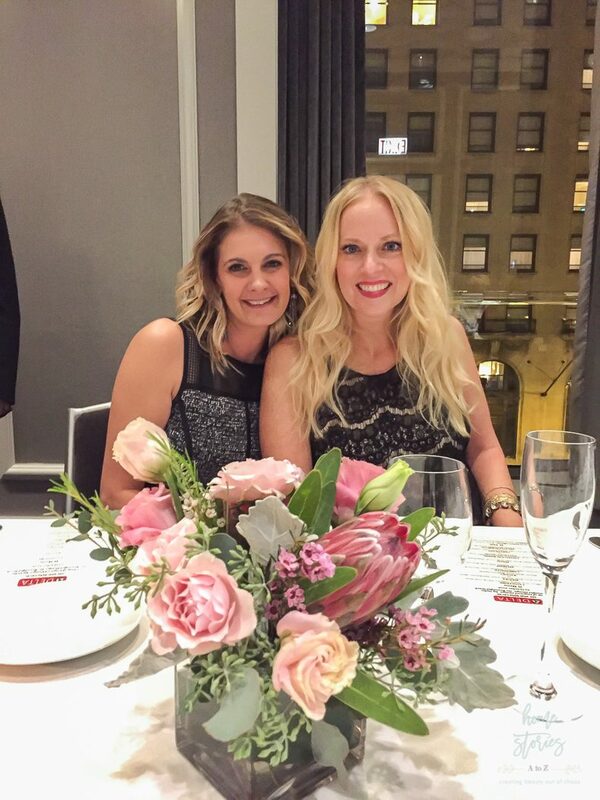 It was inspiring to SEE the Dream20 Showroom and all of the beautiful architecture in Chicago. I’m so excited to have the opportunity to implement my design and can’t wait to DO IT! 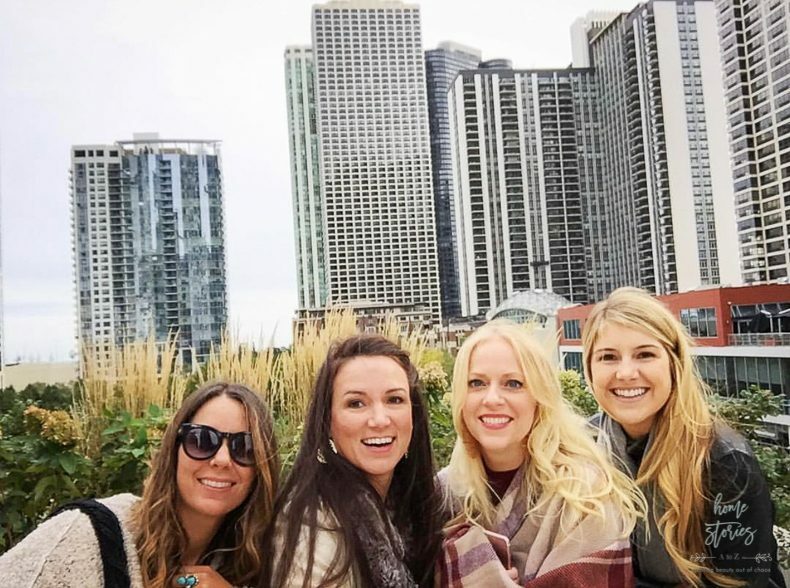 I’ve been looking for a new inspirational blogger with fresh ideas…I’m so glad to find you! Hi Laura and welcome! Thanks so much for stopping by and taking the time to comment. 🙂 I hope you’ll be inspired by at least some of what I share. What an exciting opportunity! I can’t wait to see your bathroom remodel. Congrats on winning! Congrats on the big win!! Looked like an amazing whirlwind trip! 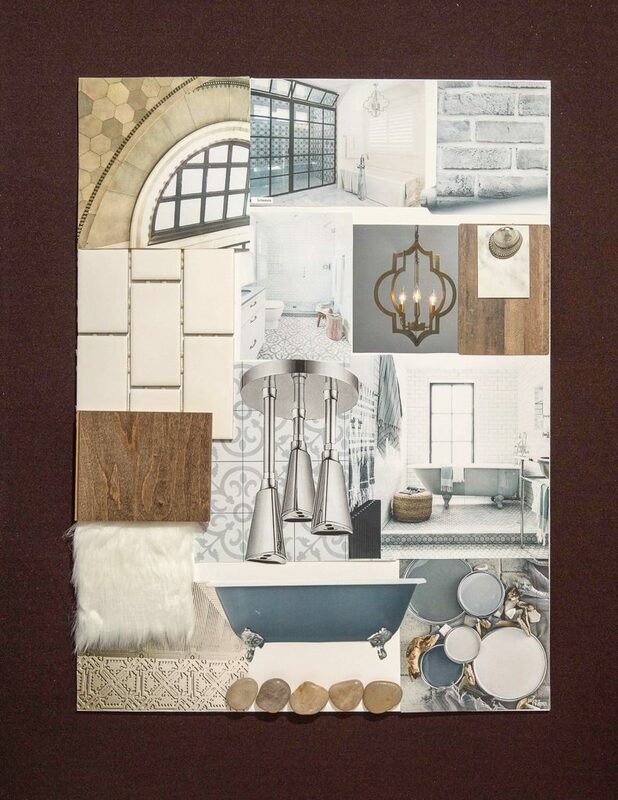 I love your design board, and I can’t wait to see your finished bathroom!! What an amazing opportunity. Where are Delta faucets sold? Beautiful and functional. See & Do! Thanks Laura! 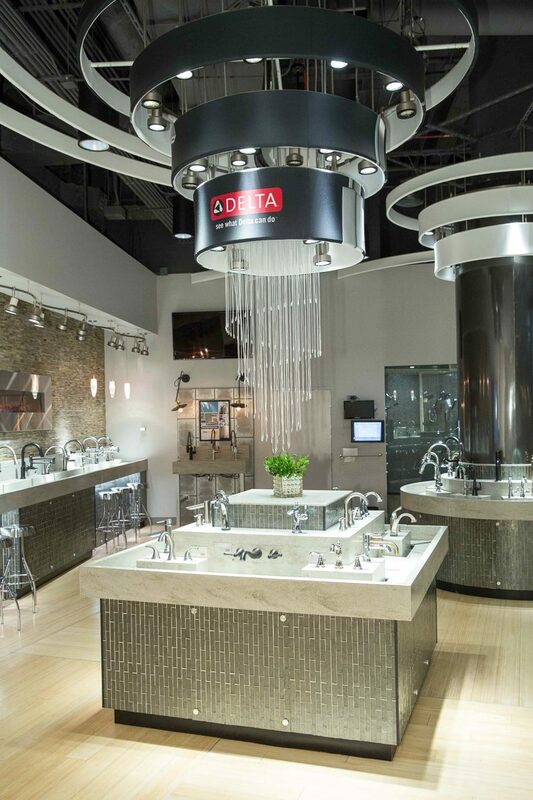 You can find Delta faucets at Home Depot, Lowes and online with several different retailers.